By the time I attended my first bullfight, in Mexico City in September 2010, the horses were not my concern. Coming to bullfighting nearly 80 years after Hemingway’s apology was written, I expected to be horrified and perhaps sickened by what I had been told would happen to the bulls. Where Hemingway was writing of a time in which the horses were not protected with padding – a change that was made in 1928, and one he complained about bitterly – I was attending my first fight in a time in which the popularity of bullfighting was reported to be waning, in which the province of Catalonia had recently voted to ban it, and in which animal rights groups were baying, not for the bull’s blood, but for that of anyone who dare shed it. And what they had told me about what would happen to the animals, while mostly incorrect, was quite something. Fiske-Harrison, who spent the greater part of 2009 and 2010 living in Spain and training as a torero himself, is well aware of this fact and dedicates nearly half a chapter to the writer to whom, inevitably, he will be most compared. But it is worth pointing out that the similarities between the two works are mostly superficial. Both consist of 20 chapters that roughly follow the highly regulated structure of the bullfight: Fiske-Harrison’s by naming his chapters, somewhat arbitrarily until the last two or three, after the bullfight’s various suertes, or interactions between man and bull, in the order in which they tend to unfold, and Hemingway’s by devoting the content of each chapter to a discussion of each stage in its turn. He proceeds to list, in muscular yet nostalgic prose that looks forward to The Snows of Kilimanjaro and A Moveable Feast, everything he could have written about but failed to: the landscape and the train rides through it, the drunken nights, the quiet moments with matadors before the fights. This is what makes Fiske-Harrison’s book so different to Hemingway’s and its subtitle so important: the writer recognises that “the world of the Spanish bullfight”, with its characters and its tragic tales, its poetry and its flamenco music, is often as interesting to read about as the bullfight itself, and often even more so. Which is not to say his descriptions of the corrida aren’t at times incredibly engaging. But the quality that makes Hemingway’s final chapter the most intoxicating pervades Fiske-Harrison’s in its entirety: less a handbook than a memoir, less Death in the Afternoon than The Sun Also Rises, Into the Arena pulses with the writer’s love of the world and the people he has found himself among. These people include the matadors Juan Jose Padilla, who lost his left eye in a near-fatal goring a short time after the book was published, and Cayetano Rivera Ordonez, whose great-grandfather was the model for the matador in The Sun Also Rises and whose grandfather Antonio was celebrated in Hemingway’s The Dangerous Summer. In the film Almost Famous, rock critic Lester Bangs warns a fledgling music journalist: “You can not make friends with the rock stars.” While Fiske-Harrison occasionally chides himself for failing this test, especially when he returns to Britain to write and finds his two worlds are increasingly incompatible, he allows himself to succumb to that failure. He takes up the cape, encouraged by his new friends, and begins training to fight and kill his own bull. this thing, whatever it was, seemed balanced on a perfect moral borderline. When it was done well, it seemed a good thing; when done badly it was an unmitigated sin. How could anything straddle an ethical boundary like this? 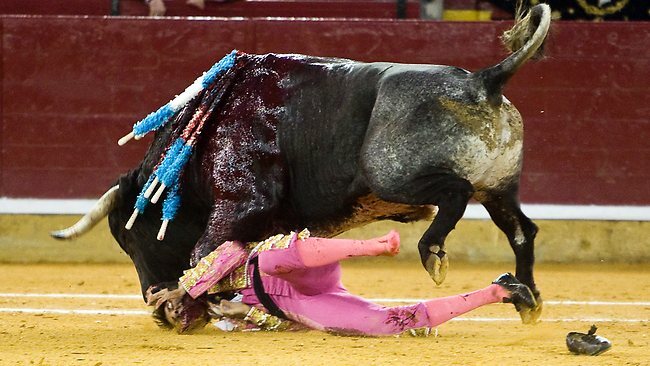 For despite what its proponents and opponents may say, he argues, bullfighting does straddle such a boundary. In two well-researched chapters that look at the ethics of bullfighting from the perspectives of animal rights and evolutionary biology, Fiske-Harrison goes to lengths demonstrate how most of the arguments for and against the bullfight are as good – or, more commonly, as bad – as each other. Observing that Spain’s fighting bulls live a far better life than Britain’s meat cattle, and offended by what he sees as the hypocritical and borderline xenophobic dissimulations of the animal rights movement, the author attempts to demonstrate how banning the bullfight would in fact result in a reduction of animal rights across the board. Despite a passage in which the author dismisses animal rights gurus Peter Singer and Marc Bekoff in a manner that even supporters of the bullfight might find rather too cursory to be satisfactory, these demonstrations are mostly successful. It is also hard to read this final chapter, or the postscript that follows it, without wondering what philosopher Mark Rowlands was on about when he called Fiske-Harrison vainglorious in a review of the book in the Times Literary Supplement. Hemingway was the target of similar criticisms when Death in the Afternoon was published, too, with that book and its reception sparking its fair share of literary feuds. I will not say too much about the more recent spat between the philosopher and the torero, except to point out that, while Fiske-Harrison perhaps mentions how many push-ups he can do one too many times, and while one gets a little tired of having to hear about his trips to Argentina to perfect his horseback skills or to Kruger National Park to observe the kudu, his tendency is towards self-deprecation as often as it is towards self-aggrandisement. And he brings to the polarised discussion of bullfighting a level of nuance where his opponent – who once attempted to train his pet wolf to be a vegetarian – brings only more dissimulation. Matthew Clayfield has worked as a freelance foreign correspondent in the US, Mexico and Cuba. Bullfighting is the world’s most divisive sport. Depending on whom you ask, bullfighting is either “the last serious thing left in the world today,” as Spanish poet Federico Garcia Lorca wrote, or it is, as PETA claims, “a tradition of tragedy.” The Parliament of Catalonia voted in 2010 to end the sport beginning January 2012, a signal that perhaps minds are changing even in the traditional home of the bullfight, although many southern Spaniards say this is simply a separatist ploy by Catalonians. If bullfighting is the most divisive sport, it is also among the most alluring, especially for writers, who have flocked to Spain at least since the publication of Ernest Hemingway’s The Sun Also Rises in 1926, which details – in glorified terms – bullfights, the running of the bulls in Spain and the culture that surrounds both activities. British writer Alexander Fiske-Harrison became fascinated by the bullfight on a visit to Seville with his family in 2000 and returned regularly. In 2007, he published an article in the magazine Prospect inconclusively investigating the morals of the bullfight. The response was immediate and widespread: Fiske-Harrison soon found himself with a book contract, a ticket to Spain and a plan to stay for one year, immersing himself in the tradition and its key players. The result is Into the Arena: The World of the Spanish Bullfight, a fast-paced, choppy account of his investigation and an evocative depiction of the controversial, dangerous world of corrida de toros. 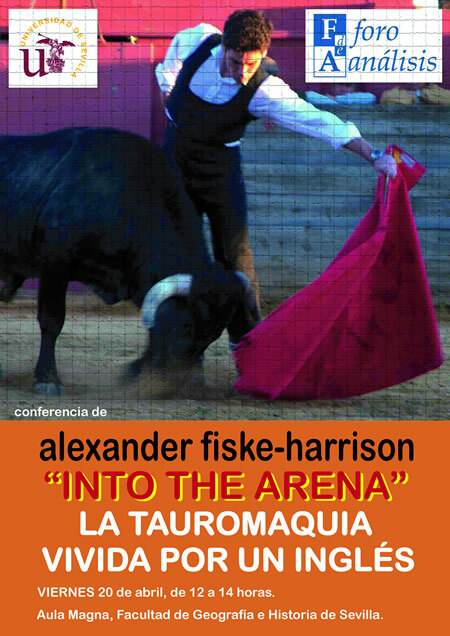 From the very beginning, Fiske-Harrison makes it clear this will not be simply another book about the act of bullfighting, but rather a philosophical inquiry into the subject, trying to decipher its ethics or lack thereof. Fiske-Harrison sets out to decide whether it is wrong to kill these powerful animals for sport. The author does come to a conclusion regarding the ethics of bullfighting, but thankfully, Into the Arena is not a philosophical tract or a screed in support of animal rights. Instead, it narrates the events of Fiske-Harrison’s year in Spain, meeting the aficionados, breeders and matadors who make up the world of bullfighting, a world he enters almost despite himself. There is the handsome young matador Cayetano Rivera Ordónez, the garrulous Juan José Padilla and the humble Adolfo Suárez Illana, all of whom the author befriends, affording him nearly unprecedented access to the inner world of bullfighting and breeding. It is in these portions – praying with the matadors before the fight and partying with them afterward – that Into the Arena is truly remarkable. The grit and sweat of these characters is conveyed in tightly wrought prose that acknowledges its debt to Hemingway, but sometimes nestles too close to Papa’s pen. One of the most accomplished passages in the book describes a trip Fiske-Harrison makes to Pamplona, where he runs with the bulls before witnessing the garish, tourist-oriented spectacle that is, as he writes, the “only bullfight I will ever see in Pamplona,” one that lacks the art of the best bullfights he has witnessed. Since virtually all of the book must have been compiled from journal entries and notes, one wonders why Fiske-Harrison didn’t simply work these passages into steely prose, and suspects this is a device to put the reader in the author’s shoes, so to speak. But such breaks in narrative actually foster more critical distance than Fiske-Harrison’s prose, which is seamless elsewhere, although at times he goes over the edge in his descriptions of the spiritual aspects of bullfighting, which he calls “a pillar of honesty” within our “media-driven” society. 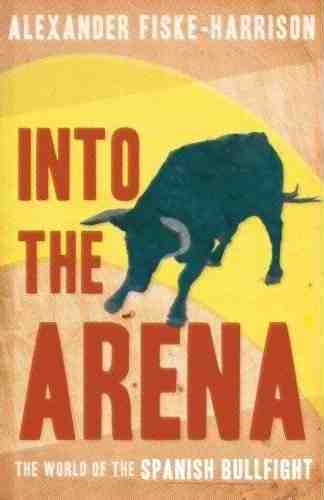 But these qualms do little to detract from the powerful narrative of Into the Arena, whereby Fiske-Harrison evolves from a dilettante not sure how deeply he wants to be involved in bullfighting to a seasoned aficionado and, finally, an amateur matador. As the narrative moves forward, the writer’s opinions about bullfighting and the people involved in it become more subtle and more decisive, inching him toward his ethical conclusion on the sport even as he become more deeply entrenched in bullfighting’s complexities and mysteries. Since the publication of the book, Fiske-Harrison has been touted as a new expert on bullfighting, a reputation the writer has duly earned with blood, sweat and study, and a fair amount of Spanish sherry. In this book, we see the development of that expertise. Several decades ago, Into the Arena would have been a stunning exposé. As it stands, it is a thoughtful, well-researched and deeply felt investigation of a cultural anomaly as it teeters on the verge of commodity and taboo. By the end, Fiske-Harrison’s moral conclusions are an afterthought; what is worth saving here are the vivid evocations of men who risk their lives in a beautiful, vulgar battle with the bulls.